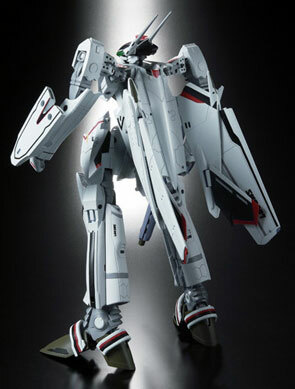 Update: 10/23/2009The VF-25F was actually designed by Shoji Kawamori with the help of Lego blocks. 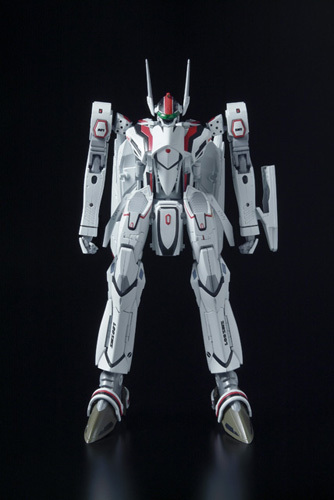 Update: Bandai released an optional armored pack for the VF-25F already. Definitely the must have toy for 2009. 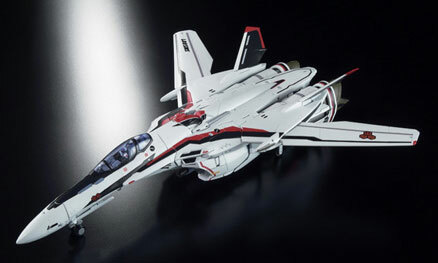 A DX Chogokin rendering of the beloved VF-25F Messiah of Alto Saotome from the 25th Anniversary Series of the Macross Franchise, Macross Frontier. 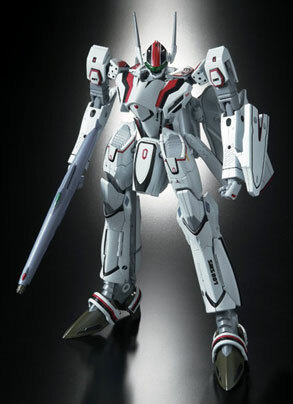 Slated for release on December of 2008, it price has since gone up to 12,600 yen owing to its popularity. 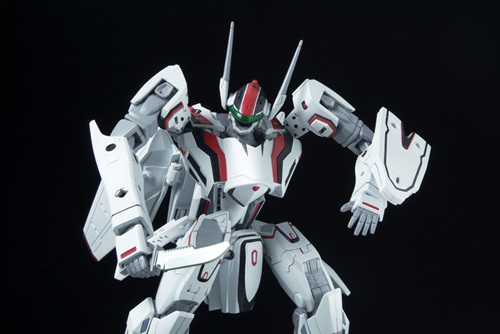 The toy is built in 1/60 scale and can transform to its staple: Fighter, Gerwalk and Battloid mode. 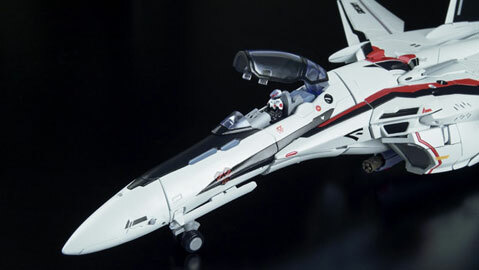 Aside from the craft, it also comes with a knife and Gun pod. 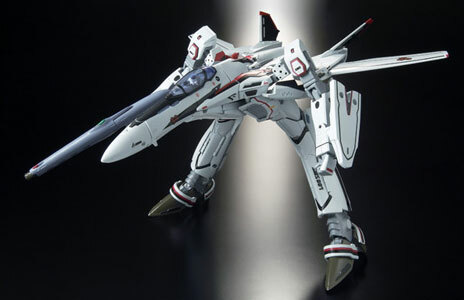 Macross Frontier Creator and Mecha Designer, Shoji Kawamori, was also on hand to supervise the construction of the VF-25F at Bandai's offices to ensure accurate reproduction. 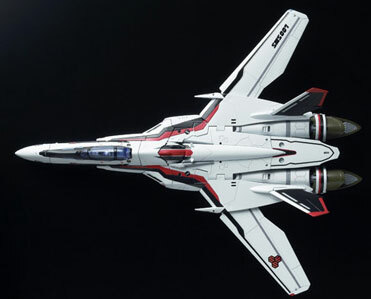 The VF-25F was initially flown by Guilliam of the SMS Squadron, his death at the hands of the Vajra thrust high school student, Alto Saotome, into the cockpit of the VF-25F. 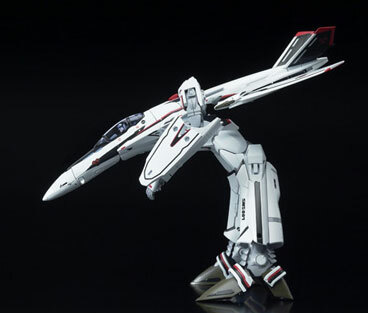 The VF-25F pays homage to the VF-1S of Hikaru Ichijo in the original Macross: Do You Remember Love? movie by following its color scheme. You can't help but notice also that the "-25" designation of the Messiah is to commemorate the 25th Anniversary of the Macross Franchise. More pictures on the next page. 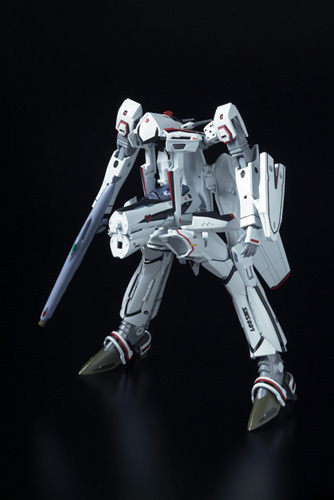 The rear rear wheel actually looks ugly compared to the wheel on the 1/72 VF-25F model kit. 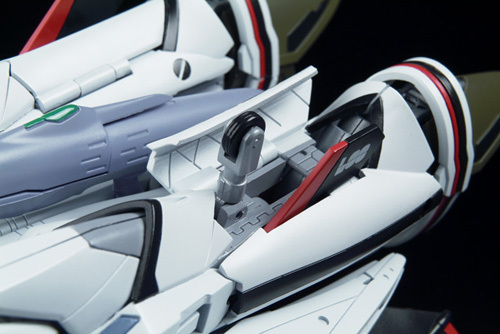 But I guess it would be hard to replicate that on the toy because on the model kit the wheels do not fold beneath their fuselage but rather are removed.